Over the last few months, Overwatch has looked less like a team shooter and more like the inside of a microwave bag of popcorn. A popular and beloved crowd control mechanic called the “boop” has become so prevalent that it’s causing anguish from players who would rather compete at a first-person shooter than pop idly across the map. Players love booping. They really do. It’s common for players to fight over getting to play as heroes like Lucio or Pharah on maps with lots of holes or edges so they can mine boops. And it’s also pretty common for players to yell “boop!” when they’re getting kills that way. Whenever opponents fly off the map, teammates often congratulate each other on the good boop, while their opponents bemoan their sorry boopedness. Among Overwatch’s mechanics, the boop was by far one of the most hype and well-loved for years. As time went on, however, and as Overwatch introduced new heroes, booping has surged in frequency. Now nearly every new hero comes with some sort of booping mechanism. The hero Orisa’s graviton charge can pull enemies off ledges. 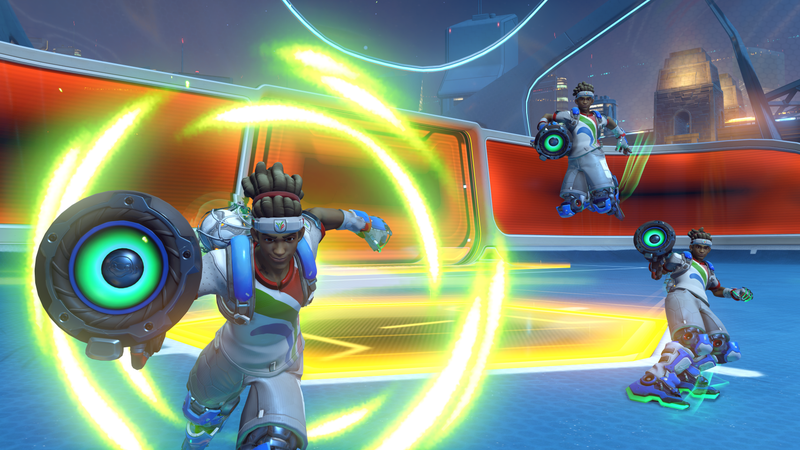 The hero Doomfist’s rocket punch and seismic slam knock enemies toward and away from him. The hero Brigitte’s whip shot pushes enemies backwards. And the hero Wrecking Ball’s piledriver launches opponents into the sky. All the sudden, it seemed like half the Overwatch hero roster was boopin’ and the other half had unwittingly become Mexican jumping beans. Furthermore, many of these new heroes also have stun abilities, rendering opponents useless to defend themselves against the savage boops. Over the last few months, I have completely soured on the boop. It’s felt unmanageable to play tank heroes like Reinhardt because, instead of protecting my team and winnowing down threats, boops are pushing me out of position, cancelling my ultimate or cooldown abilities and tossing me into the air so my teammates are unshielded. I feel useless. And it’s worse when, on top of being stunned and pushed away from my team, I need to wait for my cooldown or ultimate ability to recharge so I can defend myself. On one hand, zany crowd control abilities like boops make Overwatch stand out from other first-person shooters. It means the best players are constantly considering how to use their environment to their advantage and what other heroes to combine their attacks with. Ideally, it also means that teams are sticking together, so nobody can get singled out for a boop. To be really outstanding, you have to be thinking at all times about positioning, which makes the game feel more nuanced. [Update—3:45 pm ET]: Overwatch analyst Jonathan “Reinforce” Larson posted a video while this article was in edits about Overwatch’s influx of crowd control abilities. He thinks it’s a positive thing. In the video, he explained, “It’s a different game because there’s an added element where the players have to think about stuns,” adding, “now we’re in a state where crowd control dictates where the game is going.” He argues that crowd control abilities, like Brigitte’s stunning boop, can change the tide of a game in a way players aren’t used to. In the past, it was easier to acknowledge that a big-kill play turned a match around; now, more subtle moves have a lot of power by denying those big-kill plays. While I agree that players are not adjusted to this, and that’s caused some of the stress, monitoring every situation and making every decision based on whether or not you will be booped or stunned simply is not that fun. Booping, especially in combination with stunning, is pretty uninteractive. When I’m scrambling away from a Doomfist boop and trying to fight back, only to then fall right into a Brigitte boop that I also attempt to defend against, that means two of my abilities may be on cooldown at once, and the best I can do is pray for help—if I’m not too far away from my teammates already. That’s simply not enjoyable.